You know this girl loves Mexican food, so I am always down to try out a new restaurant. 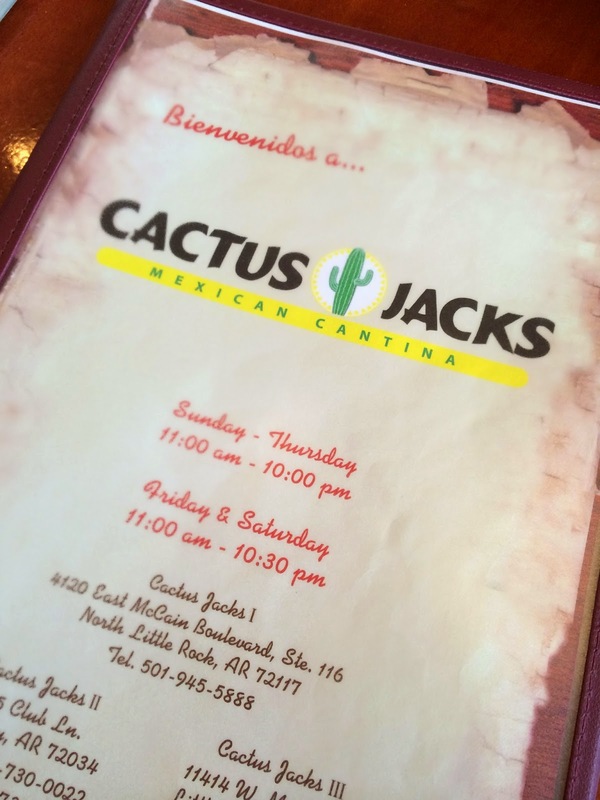 Josh and I headed out to the McCain area to do some shopping a few weeks back, and we decided to give Cactus Jack's a try. 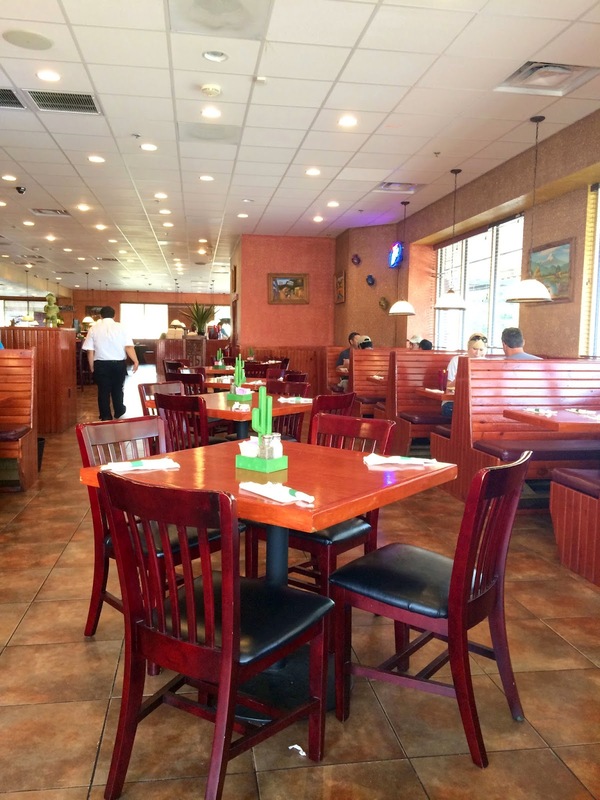 We were immediately taken by how large and nice the interior of the restaurant looked. From the outside, the restaurant is fairly unassuming. It's tucked into a large shopping block, right off a really busy street. Inside, though, is calm and inviting. 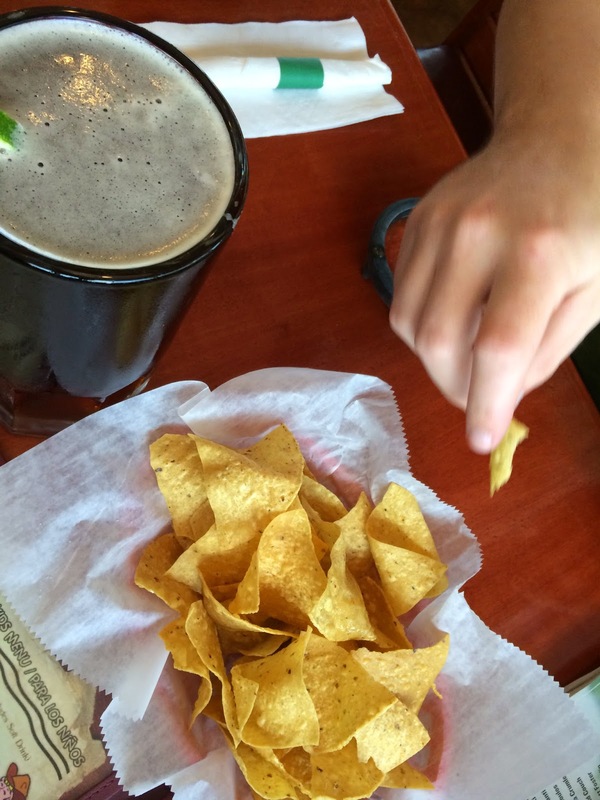 We ordered some guac, large beers and the extra spicy salsa. It's not often that salsa is too spicy for me, but this one was. It was blow-your-face-off hot. 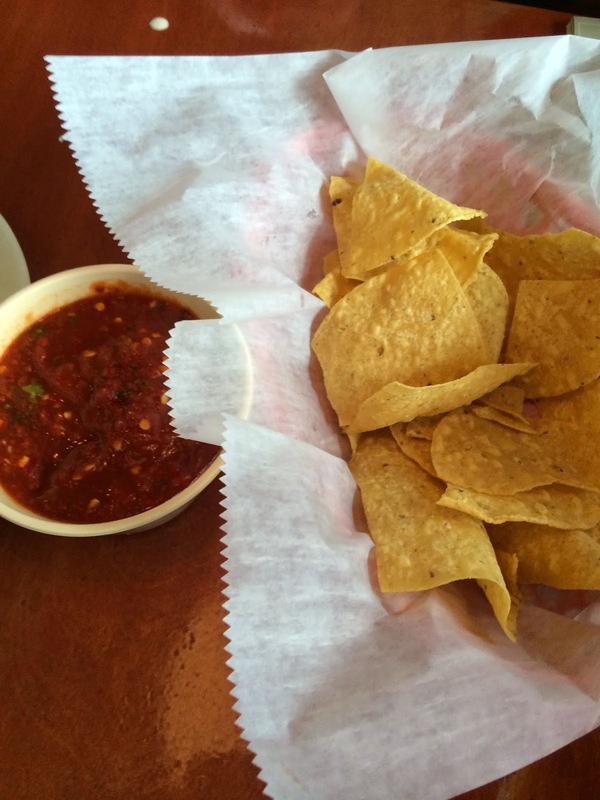 I mixed a little with my regular salsa, but I couldn't go for too much. There is definitely a line when hot is too hot. The guac was tasty, though. It wasn't as chunky as I would like, but it was still really flavorful and delicious. 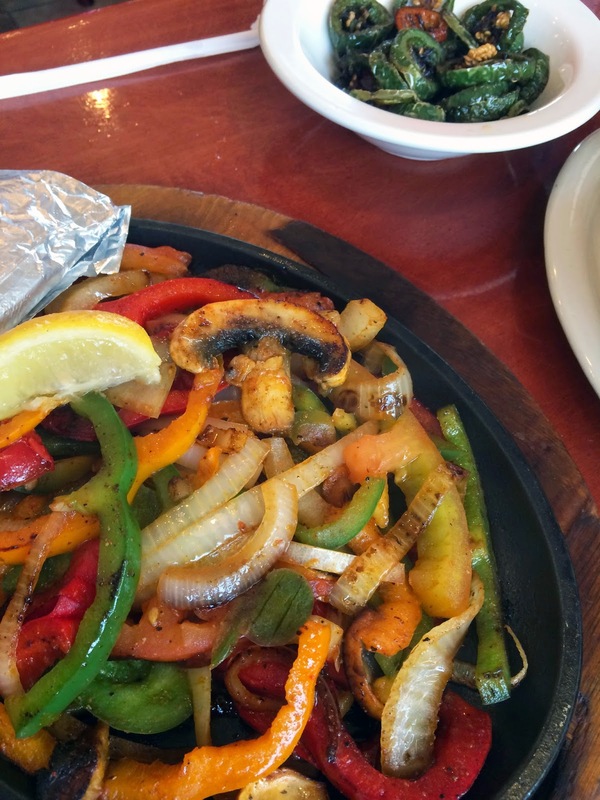 The real test for me in how much I'm going to like a Mexican restaurant is how they prepare their veggie fajitas. If it comes out with stringy, over cooked tomatoes and a few onions, I won't be coming back. If it comes out with veggies piled high, seasoned well and not too greasy, I'll be a regular customer. Cactus Jack's veggie fajitas did not disappoint. They were definitely piled high, with sweet bell peppers, big mushrooms and plenty of spice. The real star for me was something I spied on the "sides" portion of the menu that I knew I had to try. 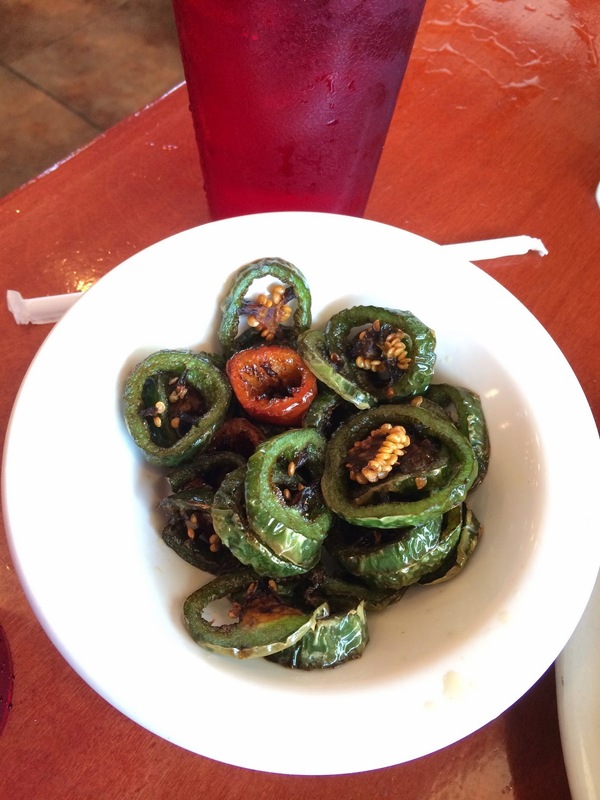 The boasted "fried jalapeno rings," so I ordered some to top my fajitas. These alone will have me coming back. They were spicy, crispy and just the right amount of fried. They weren't overly oily or burned, and they were perfect when topping my yummy fajitas. It's nice to have another restaurant in the McCain Mall area to put in our dining out rotation. 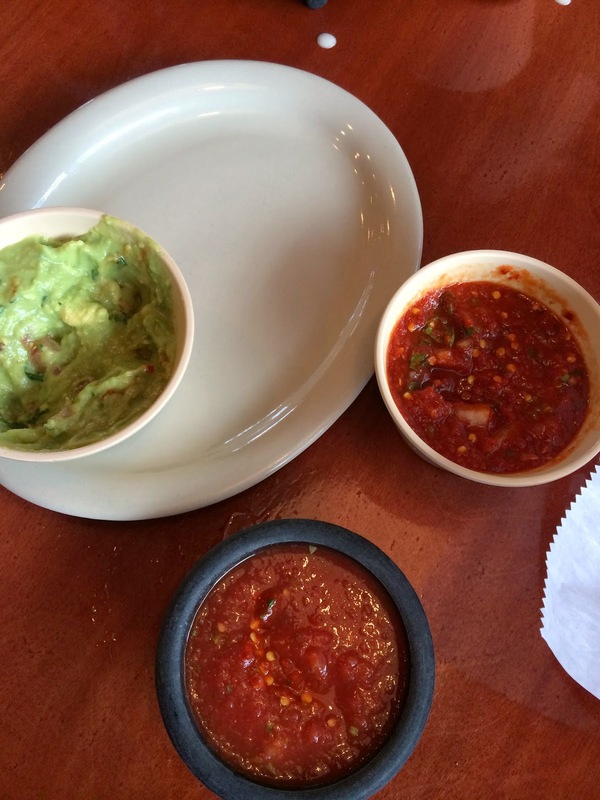 North Little Rock lacks a variety of restaurant choices, but when we want some good Mexican food, we'll know where to go. I'm with you on veggie fajitas! I hate those places that basically give you a plate of onions because the tomatoes have cooked down to nothingness. There's a place in Jonesboro that Sheridan and I like called Kandala Grill, and they have freakin' cauliflower and carrots in their fajitas!! So good! YUM! If I get broccoli or cauliflower, I'm coming back. 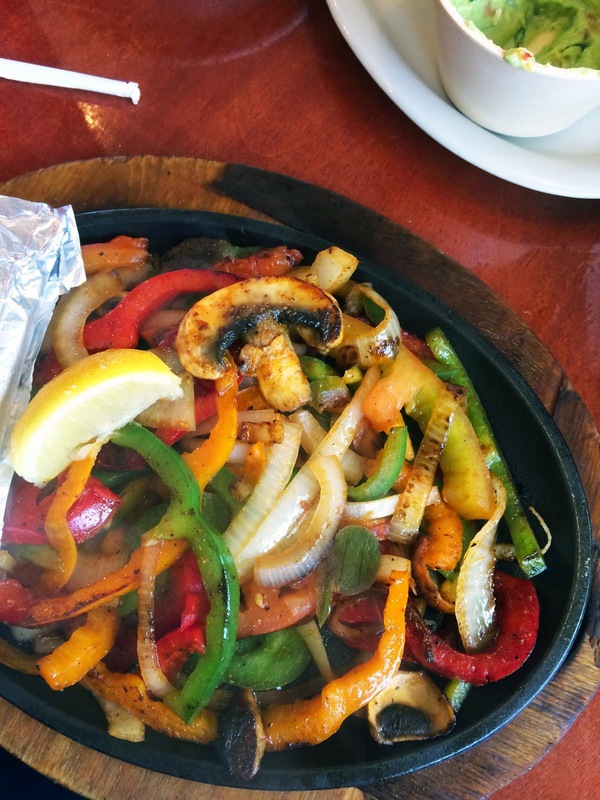 Senor Tequila by my house in NLR has great veggies in their fajitas, but others around the city do the onion/tomato mush. Always makes sure with Mexican restaurants if foods are cooked in lard or butter. Some veggies are cooked in butter and tortillas, taco shells are made with lard. That images you post here are look so good and delicious. I have to much experience to make different kinds of food70-410with is study i ant do double job. I am busy in my exam,are relate to the networking field. thanks for your blog. will and handbag replica wit in which crucial decisions are made with split-second precision. Preparation is rigorous and Replica watches UK team spirit is paramount, just as in the fine watch-making of the Swiss watch-maker.In an exciting Replica handbags adventure, I was invited on board as part of the crew on the super-cool Swiss racing yacht Rolex Daytona Inou? (ironically, registered in Basel where the world’s largest annual luxury watch fair is Replica Watches held), with owner. I read your post and I like it very much. I also like the theme of your blog which is simple and the navigation bar is also good. Geek Eats makes Hummus Right!